¡Orale! 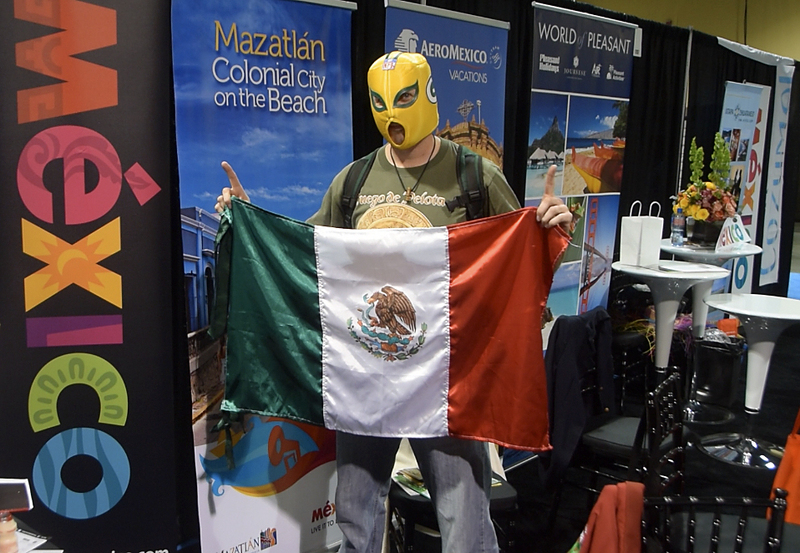 The Gringo With A Green Bag was representing the Mexican banner this past weekend at the Travel and Adventure Show in Los Angeles. What a great time we had! The spirit of the fiesta was in the air and there was plenty of travel inspiration to be absorbed in an atmosphere full of zesty cultural flavors, interactive exhibits, music & dance and travel professionals from all parts of the globe there to share information about the world’s hottest destinations. The Mexico booths were packed ALL weekend long and I was happy to be a part of all the acción! Stay tuned for my video highlights, interviews and just a bunch of wacky GWAGB fun…once I recover from the “virtual” travel hangover.